The equipment used to move or load materials into or onto another machinery in the construction field is known as a loader. Many types of loaders are available nowadays. Depending on the design and application they are named differently. Wheel loader, Compact wheel loader, Backhoe loader, LHD load haul dump, ADT Articulated dump truck are some examples of loaders. Loader weighing systems are used to weight the load materials in the loader machines. The system first measures the hydraulic pressure in the lift cylinder and then it is converted to a weight using pre-calibrated data. The best loader weighing system in Chennai is provided by Senlogic Automation. Senlogic is known as the best loader scale manufacturer in Chennai. Their loader weighing system can be fitted to a wide range of product category, ie it can be used in different types of loader weighing system. Bracket for a multi-directional adjustment of the monitor. 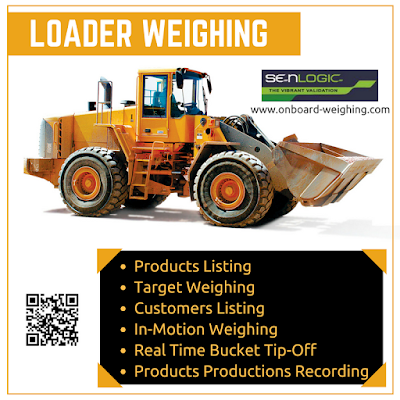 Senlogic is the leading manufacturers of premium quality loader weighing systems. Their products are manufactured using superior grade raw material with the help of advanced technology. They provide the systems with international standards and they are known as the best for onboard weighing system in Chennai. 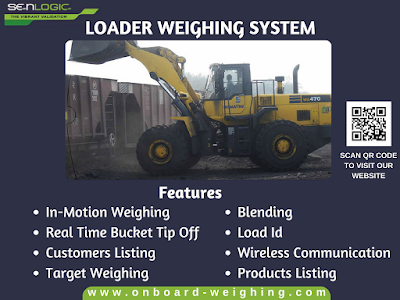 Articulated dump/truck weighing system is the perfect answer for the manufactures who need to track precise production data. We, at Senlogic Automation provides integral weighing system wich gives consistent and precise weighing in toughest conditions. Our truck on board is not only sophisticated weighing and controlling device, monitors the fuel consumption and track vehicle. In addition to this automatic vehicle, identification shall be added as optional devices. Type of truck and application does not stop us to implement a weighing and data management system into the truck on board. The driver will get more convenience to see the weight and control the loading without additional manpower, by using the dumper load with user friendly display tied into the dashboard. Custom made load pin shall be installed in the higs of the Tipper with minimum modification in the Truck bod with our prebuilt accessories not only reduce the timer for installation also improves the safety of the truck. Pressure sensor: Load trigger switch Rigged mounted truck: Double shear load cell. Easy to operate, Accuracy of +-0-3% of net payload weight. (cumulative weight of the day), Durable and weather-resistant component design for longevity. 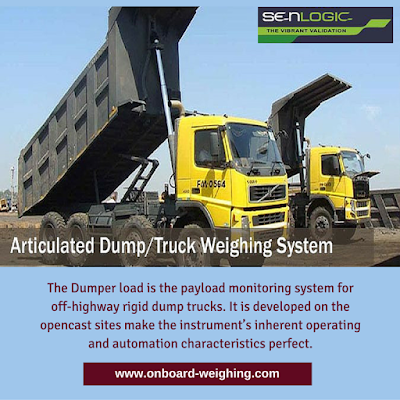 Senlogic offers the high-quality Articulated dump / truck weighing system in Chennai at reasonable and cost-effective manner. Senlogic is known as the industry leader in the production of devices related to weighing automation activities among their clients. They provides all types of onboard weighing systems. 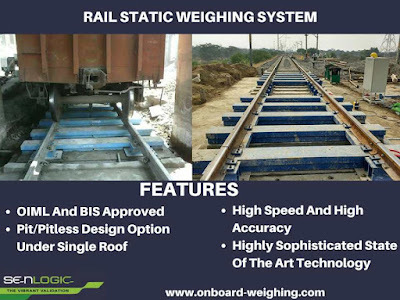 Senlogic provides Rail Static Weighing Systems. These systems are of high quality and flexible. Clients can avail this Rail Static Weighing System at industry leading prices from them. Without any major civil and traffic disturbance, these system can be installed. The installation process needs less than 24hrs. Senlogic Automation Private Limited, Chennai in Tamil Nadu manufactures and supplies static rail weighing systems. Senlogic is one of the well-known manufactures for onboard weighing systems Chennai. The company offers its services and support in all over India.